A big thank you to all who attended the Travelling Book Fair last week. 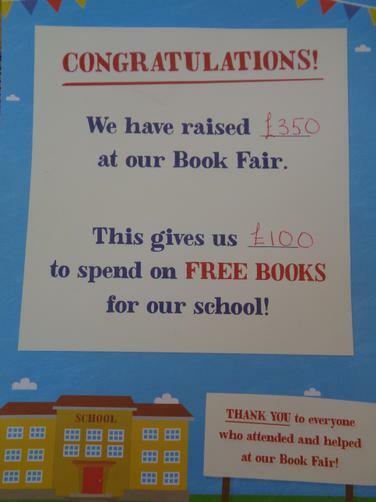 We sold £350 worth of books, which means we were able to purchase £100 worth of books for the school. Your children will benefit greatly from this. We really appreciate your support in the life of our school. Well done everyone and keep reading.